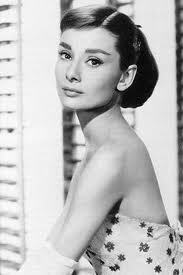 For my first winner of Star Brow of the Week I choose the inimitable Audrey Hepburn. The camera loved her. I saw a documentary on her life last night, and she was every bit as beautiful on the inside. Her acting was wonderful, but her humanitarian efforts were most remarkable. What do I love about her eyebrows? 2. Notice how the arch is located above the outside edge of the iris? 3. And my favorite part – see how the “tail” of the brow swoops up slightly? Lovely. It mimics the curve of her lips. Go to Shaping Your Eyebrows with Perfect Precision, a three-part brow shaping tutorial for more brow shaping help.